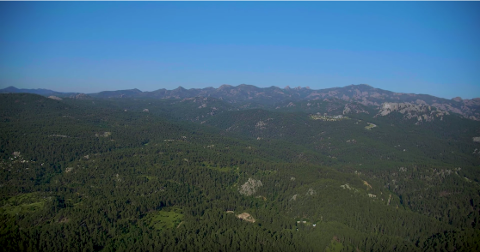 This flight leaves our heliport (the only DOT approved and FAA recognized heliport in the Keystone Area) and follows Buckeye Gulch down to the old mining town of Keystone, past the mines to Iron Mountain and the infamous pig-tail bridges and back. 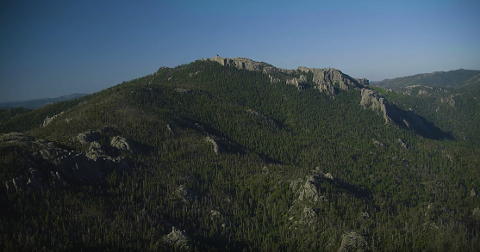 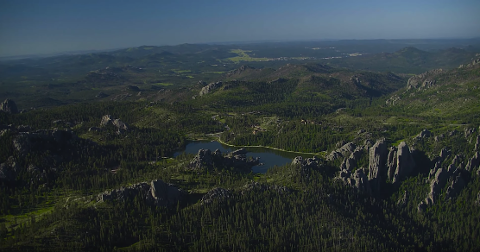 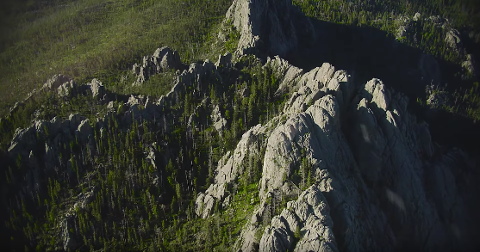 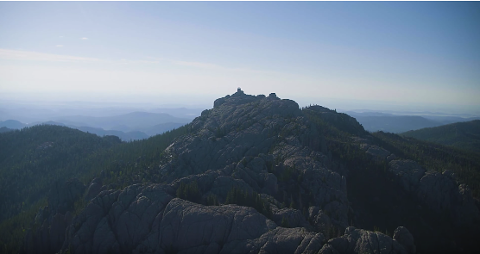 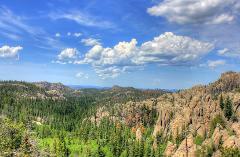 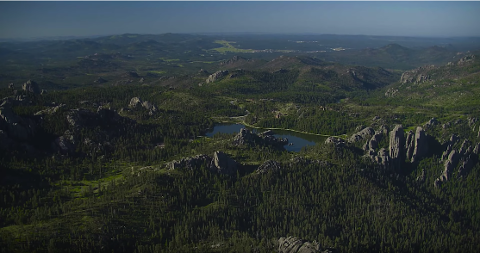 After Iron Mountain, this flight continues up Grizzly Bear Creek into the Black Elk Wilderness, just east of the Cathedral Spires and below Black Elk Peak. 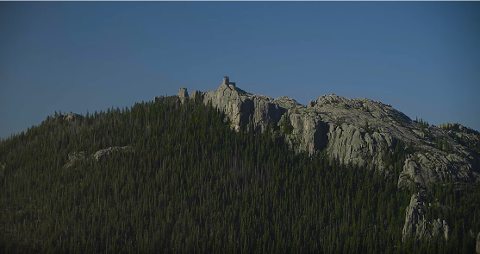 After Black Elk Peak, we continue following the remote, majestic wilderness boundary into Sunday Gulch past the iconic Outlets at Sylvan Lake. 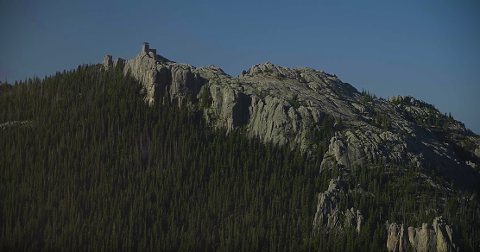 This tour continues from Sylvan Lake and passes over Sylvan Peak on the way to Thunderhead Mountain and the Crazy Horse Memorial. 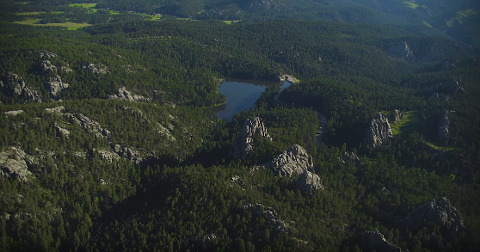 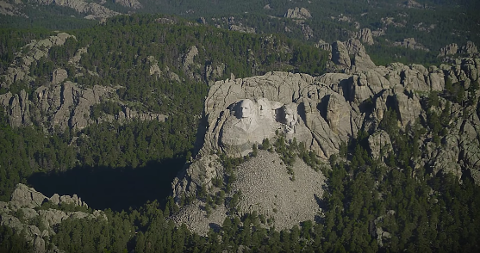 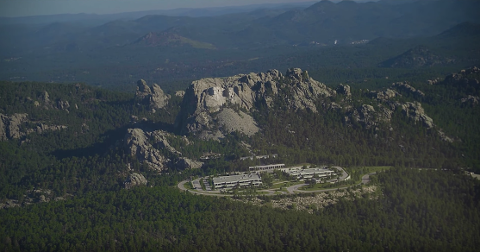 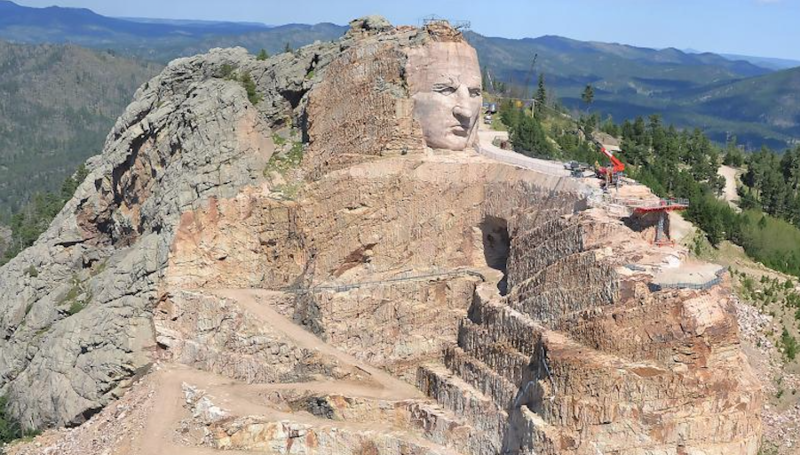 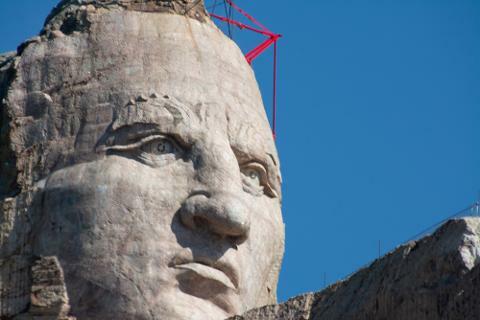 After an up close and personal view of the Crazy Horse Memorial, the flight retraces the Needles’ Highway (SD HWY 87) Sylvan Lake Tour return. 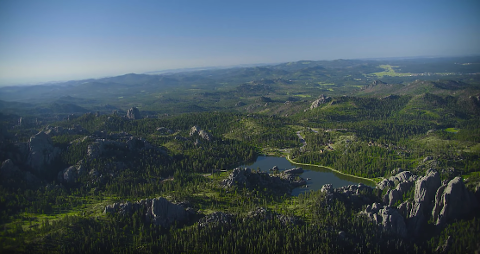 This is our recommended flight for both Monuments and taking in all the unique granite formations that make up the Needles.